Over 23,000 people descended on San Francisco’s Moscone Center to attend Google’s cloud event. There were many newsworthy announcements covering areas like collaboration, security, and the Internet of Things (IoT). 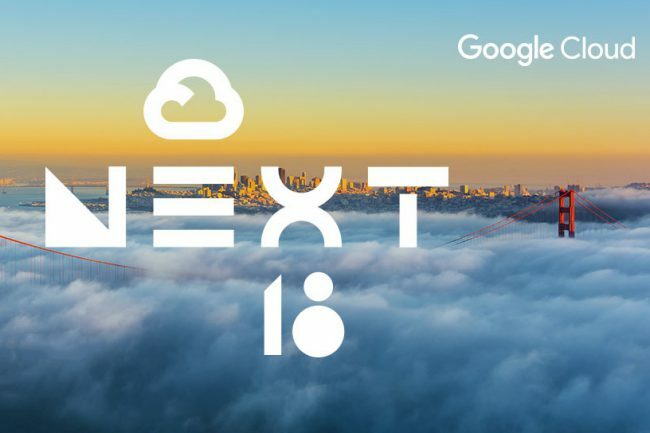 The new products and services come not only from Google Cloud Platform (GCP), and its components like Cloud IoT Core, but also from Google’s collaboration and productivity offering (G Suite) and the Google Maps Platform. While Google Kubernetes Engine (GKE) On-Prem was not discussed as an IoT announcement, MachNation believes this Google offering will positively enhance enterprise adoption of IoT of the Google stack. What is GKE On-Prem? GKE On-Prem enables enterprises to benefit from the advantages of a unified Kubernetes-based container architecture while keeping the necessary portions of their deployment in-house. With GKE On-Prem, on-premises Kubernetes clusters can be managed from the Google Cloud Console as if they were in the cloud. It also makes it easy to migrate applications from a local environment to the Google Cloud (or other clouds) at your own pace. GKE On-Prem expands the appeal of the Google Cloud to a variety of enterprise environments that depend on local deployments for capabilities including compute, data storage, and analytics. MachNation believes marketplaces are key enablers for adoption of the IoT among enterprises. While the GCP Marketplace was not announced in the context of IoT, it paves the way for Google to expand GCP’s enterprise reach. We hope to see further enhancements to the GCP Marketplace as Google makes it an essential element of its enterprise-focused IoT strategy. For application and solution vendors. The GCP Marketplace offers a productized way to provide applications to enterprise customers. The marketplace takes care of various operational hurdles such as deployment, billing, and licensing. With the help of the GCP marketplace, it’s easier to publish, sell, and support enterprise application running on Google Cloud. For enterprises. The marketplace means that enterprises can benefit from centralized deployment and billing for applications running on Kubernetes clusters. Thus, the marketplace simplifies the process that enterprises go through to select and then deploy an application. Google also vets and tests applications for security vulnerabilities before accepted to the GCP marketplace – adding a layer of security that enterprises demand. One of the key inhibitors of IoT adoption in the enterprise is overall solution complexity. Today’s IoT deployments are often amalgams of various platforms and technologies spanning integration, data management, device management, and analytics. Providing enterprises with a better way to try, test, and deploy IoT solutions reduces some of these barriers and has the potential to accelerate the growth of IoT in the enterprise. IoT applications hosted in the GCP Marketplace while taking advantage of products like GKE On-Prem and Cloud IoT Core helps enterprises deploy IoT solutions in a streamlined, reliable, and secure way.